PennEast Pipeline Co. Proposes 114-mile Large Scale Natural Gas Transmission Line Through the Delaware River Basin. PennEast has been improperly accessing properties for purpose of surveys. See their letter and our response. The PennEast Pipeline project is being proposed by AGL Resources, NJR Pipeline which is a subsidiary of New Jersey Resources, South Jersey Industries, UGI PennEast which is a subsidiary of UGI Energy Services, PSEG Power, Spectra Energy Partners. Learn about all the natural resources and preserved lands PennEast will cut on its way from start to finish. Fact sheet here. Delaware Riverkeeper Network comments, copies of township resolutions, and additional information regarding PennEast can be found below. On April 26, 2017 the New Jersey issued a determination that the PennEast application materials submitted to the state were significantly deficient and incomplete. On June 28, 2017, NJDEP determined the PennEast Pipeline Company’s application for state approval of its project to be “administratively closed” due to the company’s failure to remedy significant identified deficiencies and its failure to provide full information in a timely fashion for Clean Water Act decisionmaking. The DRBC has not issued a docket, necessary for the project to move forward, nor has it scheduled hearings on a docket proposal. The Delaware Riverkeeper Network has issued a petition regarding DRBC jurisdiction over the project and its roll in preventing tree felling or clearing prior to approval which can be read here. The Army Corps of Engineers has yet to issue permits for the project. 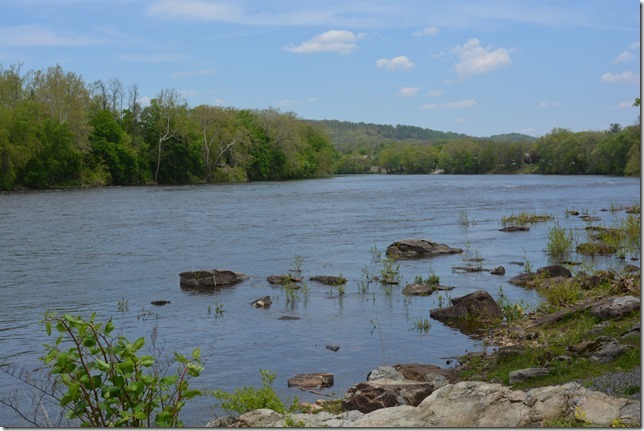 Pennsylvania has issued Clean Water Act 401 Certification for the project, a decision the Delaware Riverkeeper Network is challenging in court. But has not issued the underlying permits.The Army Corps has not fully signed off on the project with permits. You can read more from that legal challenge here. The PennEast Pipeline is designed to be a large scale 36 inch transmission pipeline that will stretch 108 miles from a gathering system in Luzerne County and terminate at Transcontinental Gas Pipe Line Co.'s Trenton-Woodbury Lateral in Mercer County, N.J. The proposed project is planned to transport roughly 1 billion cubic feet of natural gas per day. The project will also require the siting and construction of multiple high-powered compressor stations scattered along the line. The PennEast Pipeline Project will cut its right-of-way for over 114 miles approximately 87% of which will be within the boundaries of the Delaware River watershed. Among the waterways to be crossed are the Delaware, Lehigh and Susquehanna Rivers. Among the federally listed species already identified that could be impacted by the project are the Bog Turtle, the Indiana Bat, the Dwarf Wedge Mussel and the Northern Long-eared Bat which has been proposed-for-listing. Also targeted are forests as well as public and private lands, much of that land being sensitive green fields that have not previously been disturbed. The pipeline will affect approximately 1,094 tracts of land and approximately 861 landowners. Eleven municipalities have already passed resolutions opposing the pipeline including: Hopewell Twp, Delaware Twp, Holland Twp, West Amwell Twp, Lambertville, Alexandria, Milford, Princeton, Clinton Twp, Kingwood Twp, NJ and Moore Twp, PA. The size and scope of the construction activity for the PennEast line and stream crossings associated with this project will have a deleterious effect on the water resources of the Delaware River Basin. Large scale transmission lines such as the PennEast line also result in significant forest fragmentation, invite and propagate the spread of invasive species, and degrade the diversity and dispersion of native flora and fauna. Furthermore, pipeline projects also degrade the functions and values of the wetlands that they plow through, as the construction and operation of the pipeline permanently converts forested wetlands to uplands or emergent wetlands. There are also significant concerns related to the cumulative impacts of the continuous water crossings and wetlands disturbance that pipeline construction activity has on the health and vitality of the Delaware River Basin. This is particularly a concern with the PennEast line, as many of these same subwatersheds were recently impacted by construction activity on Transco’s parallel line. Also, in addition to the Transco’s previous and proposed pipeline projects, there are several other pipeline projects that have been concentrated in the same sub watersheds as the PennEast line, such as: Texas Eastern’s TEAM 2014 Project and Columbia’s East Side Expansion Project. The PennEast Pipeline will further facilitate the development of new gas drilling wells, access roads, gathering lines, compressor stations, and other supporting infrastructure, which will further degrade our environment. The PennEast line will need to receive a number of important federal and state permits and authorizations for it to proceed. This includes authorizations from the Federal Energy Regulatory Commission (Docket CP15-558), the Army Corps of Engineers (Section 404 permit), the Pennsylvania Department of Environmental Protection and New Jersey Department of Environmental Protection (Section 401 Clean Water Certifications). February 16, 2019: PADEP noticed its call for public comment. DRN requested a comment extension and submitted Comments to the DEP, which can be found here. February 15, 2019: PennEast is Modifying Its Proposed Route. March 8, 2019 is the deadline for Intervening in the FERC Process for the PennEast Pipeline Project Application for Amendment. In addition, the Pennsylvania DEP is seeking comment on its proposal to approve PennEast as being in compliance with state water quality standards. On February 15, 2019, the Federal Energy Regulatory Commission (FERC) issued a Notice of Application for Amendment (“Notice”) regarding the PennEast Pipeline Company, LLC’s (PennEast) application under section 7(c) of the Natural Gas Act (NGA) and Part 157 of the Commission’s regulations to amend the certificate of public convenience and necessity and related authorizations issued by the Commission on January 19, 2018. The proposed modifications to the PennEast Pipeline include a series of route realignments and adjustments in Luzerne, Carbon, Monroe, and Northampton Counties, in Pennsylvania. The Notice invites the public to provide motions to intervene before March 8, 2019 at 5:00 pm. You can find the notice here and PennEast’s Application for Amendment here. Intervening on a project that has been filed for approval with FERC is important and valuable: it shows how strongly you are opposed to a project, it preserves your rights to bring a legal challenge should you wish to do so down the road, and it ensures you will be fully informed about every step of the process as it goes forward through email notifications. Click HERE for step by step instructions on how to intervene online with FERC for PennEast’s application to amend their certificate. August 13, 2018: On Friday, August 10th, The Federal Energy Regulatory Commission denied the rehearing request from the Delaware Riverkeeper Network, NJDEP and others. In reply, on August 13, the Delaware Riverkeeper Network filed with the D.C. Circuit Court of Appeals challenging the FERC approval of the PennEast pipeline claiming the agency violated the Natural Gas Act and the National Environmental Policy Act when it granted approval of the pipeline. DRN is committed to restoring natural balance in the Delaware River and watershed where it has been lost and ensuring preservation where it still exists. As such, we are actively engaged at the local, state, and federal government levels to ensure that full weight of legal environmental protection laws are brought to bear on all pipeline projects under consideration, including the PennEast Pipeline. May 8, 2018: Delaware Riverkeeper Network initiates two legal actions to stop construction of Penneast pipeline in the D.C. Circuit Court of Appeals. One is challenging Penneast’s Certificate of Convenience and Necessity and includes a Petition for a Writ of Mandamus to stop construction of the pipeline. The other case challenges FERC’s continued abuses of tolling orders. More information on this legal challenged can be found on DRN’s Constitutional Challenge to FERC Page. April 13, 2018: FERC issues a second order tolling the second rehearing request submitted by Delaware Riverkeeper Network on February 22. February 22, 2018: Delaware Riverkeeper Network submits a second rehearing request. This one for the tolling order issued for the initial hearing request on February 22. February 22, 2018: Delaware Riverkeeper Network’s first rehearing request is tolled by FERC. To learn more about FERC’s abuse of tolling orders in these instances see DRN’s Dossier of FERC Abuses. February 15, 2018: Delaware Riverkeeper Network petitions the Delaware River Basin Commission (DRBC) to exercise its authority in the Delaware River Basin; ensure a nonpoint source pollution control plan is secured, reviewed, and approved for Penneast prior to approval of a DRBC docket; and ensure the DRBC will prevent construction on any part of the Penneast pipeline until Commissioner approval of a DRBC docket for the project. February 6-13, 2018: PennEast commences almost 200 eminent domain actions in U.S. District Courts in New Jersey and Pennsylvania. January 24, 2018: Delaware Riverkeeper Network submits its first Rehearing Request to FERC and a Motion for Stay to halt construction of any land disturbance project associated with the pipeline. January 19, 2018: FERC issues Certificate of Convenience and Necessity with a 4-1 vote. The Certificate included two concurrences and a dissent. Commissioner La Fleur and Commissioner Chatterjee wrote separate concurrences to highlight the issue of how pipeline developers engage with landowners. Commissioner Glick wrote a dissent highlighting and criticizing FERC’s allowance of contracts among affiliates to show need and the practice of FERC conditionally granting Certificates due to lack of evidence of environmental harms. March 2, 2016 the Delaware Riverkeeper Network filed a Constitutional Challenge to the FERC process as it applies ot the PennEast project. While the court determined that DRN has met the bar for purposes of standing (an important precedent), the case was ultimately dismissed. DRN is appealing. You can learn more about the case here. April 2016: responding to an effort led by the Delaware Riverkeeper Network that was supported by over 6,000 individuals, DRBC announced its intent to hold independent hearings. 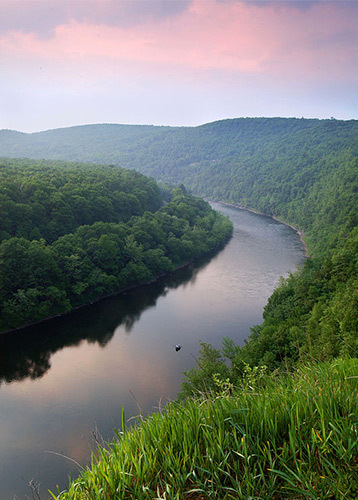 September 2014: the Delaware Riverkeeper Network submitted a formal petition to the Delaware River Basin Commission (DRBC) requesting the agency take jurisdiction over the proposed PennEast pipeline project; DRN also crafted an action alert calling for letters from the public which has resulted in the submission of well over 500 citizen letters. Initially DRBC resisted jurisdiction, but follow-up letters from the Delaware Riverkeeper Network along with a deliberate press strategy and growing public pressure finally convinced the agency otherwise. The DRBC has made the decision to exercise jurisdiction over the project. DRBC has the authority to stop PennEast if it so chooses. Click here for more info.